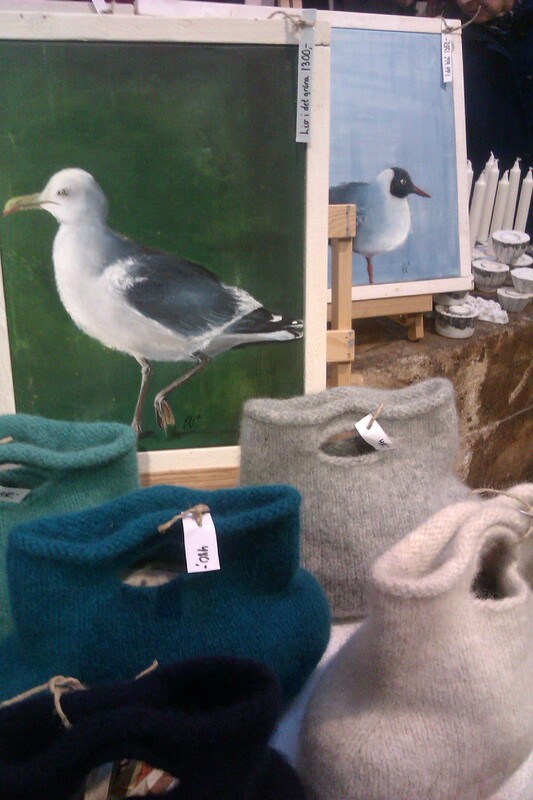 First weekend of December they have a great Christmas market in the harbour. 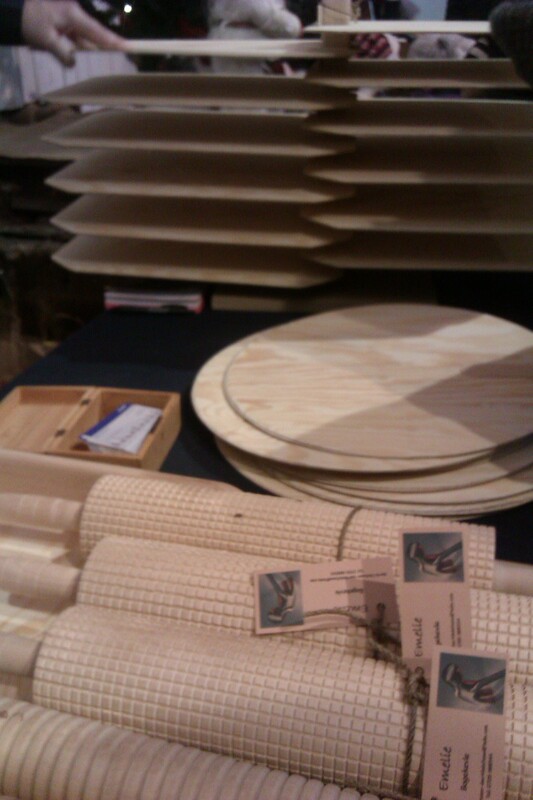 There are some fantastic crafts and I ended up spending every penny I had brought, have to go back tomorrow to pick up a couple more things. 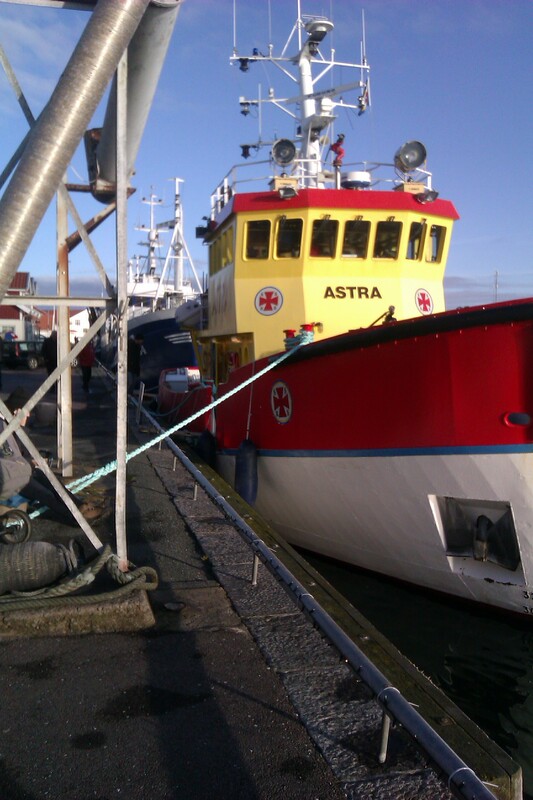 The rescue boat, ambulans and police showed kids around their vehicles. Fishing-museum offered traditional Hönö-bread and fried herring on dark bread with mustard and red onions. On every corner there is a bake sale or lottery tickets, all proceedings going to charity. 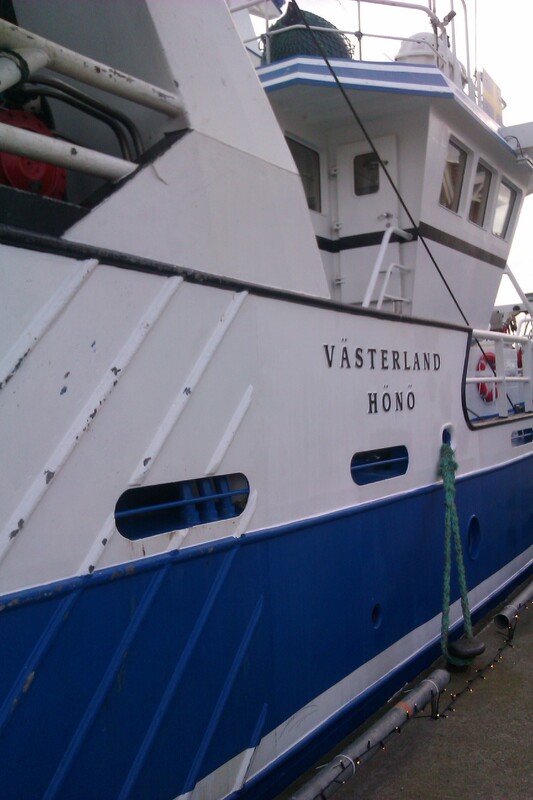 The fishing boats where all lined up along the harbour, including Västerland, the boat my granddad worked at(well it’s not the same boat a newer version but same name). 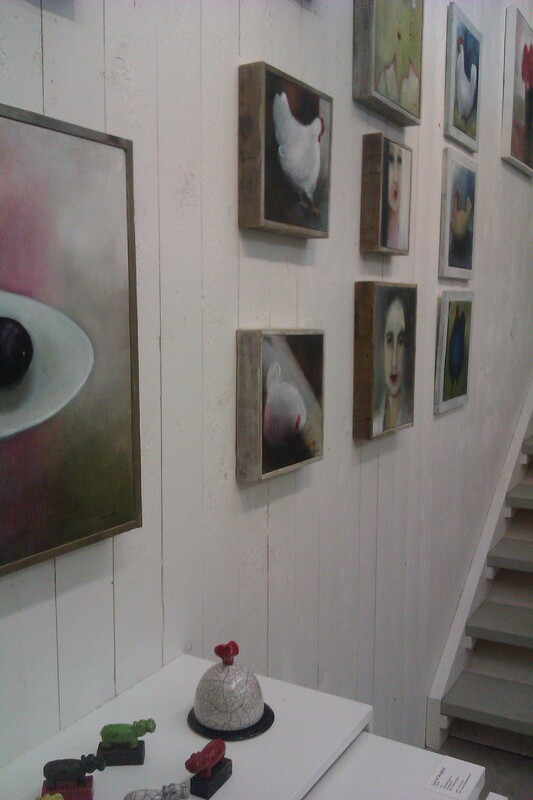 I finished of the bike ride with a huge amount of Christmas spirit and a visit to the Hönö art gallery. 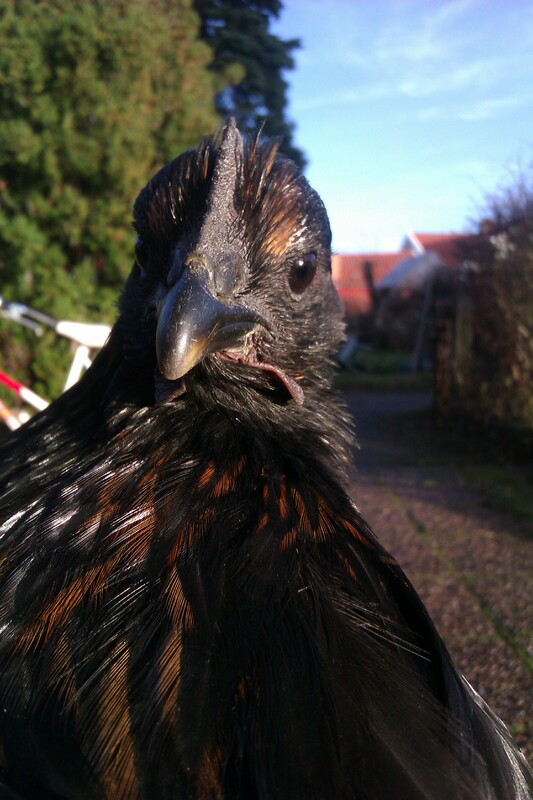 Some nice warm Glögg and I got to say hello to their lovely new Brahma hens. They looked hilarious running(or wobbling rather) over the lawn with their feathered legs! 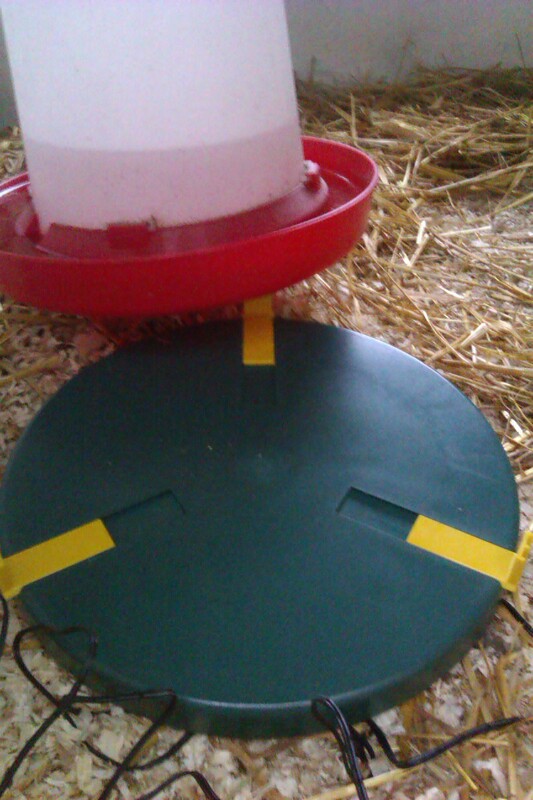 After a couple of below zero temperature nights, I spent some hours cold-proofing the henhouse. I bought a water heater to stop the water from freezing. Put a new vent in instead of the hole in the wall and they’ve now got double glazing. I’m also going to isolate the roof. My daughter thinks it unfair that I care more about the hens being cold than my children, to be fair to me I don’t let them freeze, when they complain I just bring a blanket or some slippers. 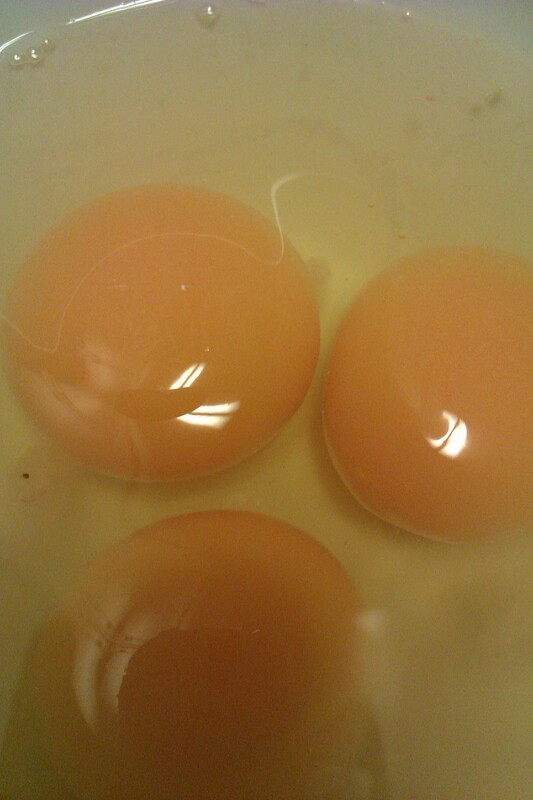 I’ve started weighing the eggs, yesterday we had the smallest and the biggest so far! 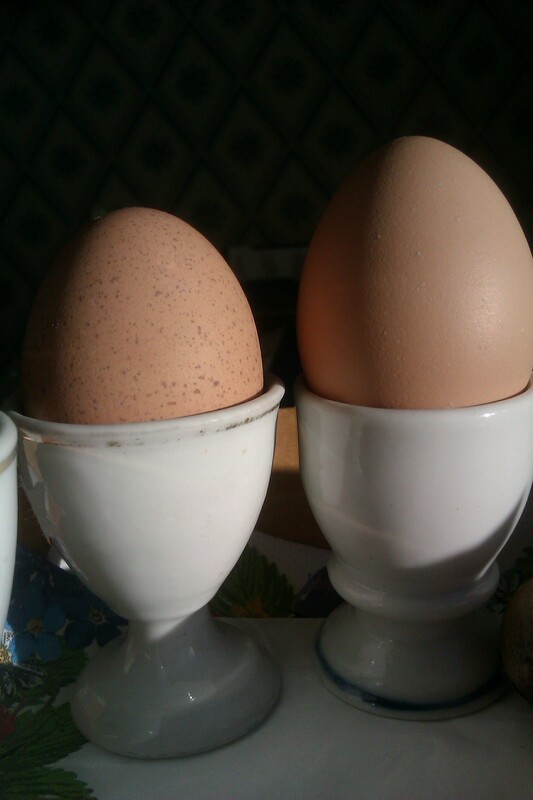 Nugget and Bugget produce a steady two eggs a day, apart from one day when I had them loose in the garden all day. They are getting braver and this morning I left them for five minutes and found them in the neighbours garden. Kick-started Christmas with baking some Lussebullar last night. They are buns with saffron and are traditionally baked like an S with raisins as decorations. I am not a big fan of baked raisins so our family has added pearl sugar to the equation. We tried a new recipe and it gave very fluffy buns but took ages to rise, had to turn the oven on with the oven door open and shut the door to the kitchen for the dough to show any life. Next time I think we will stick to our old recipe. Of course we(my daughter and I) couldn’t help making some funny shaped ones. 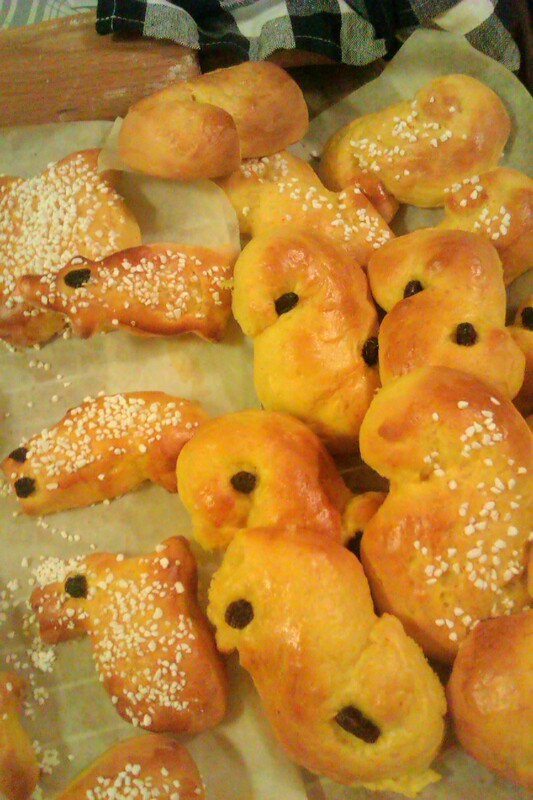 Another word for Lussebullar is Lussekatter(Lusse-cats) so we ended up with many Lusse-cats, rabbits and Lusse-pigs. Tonight we will feast on what we baked, store bought ginger cookies and Glögg(mulled wine). Bring on Christmas! Time to snuggle up in blankets, winter finally seem to be coming (I know I named a post in September Winter’s coming turns out it was just a couple of frosty nights and it would be two more months until I had to turn the heating up). Living in an old house slippers is a must have! 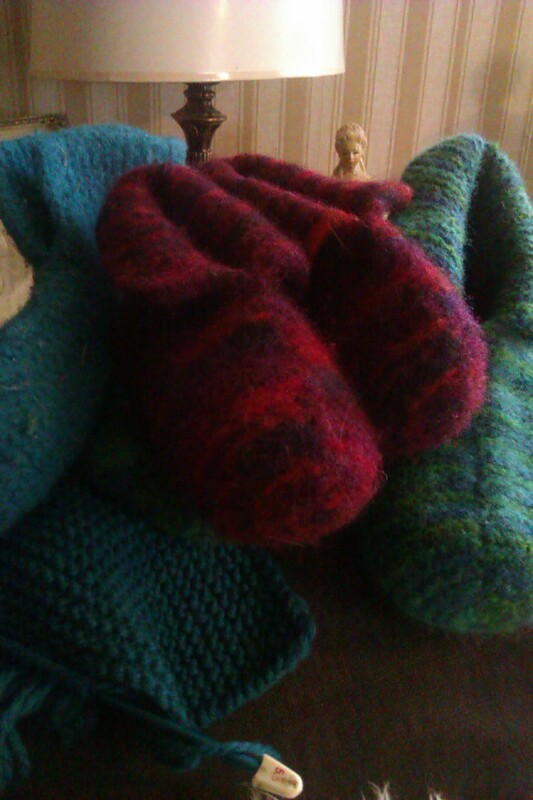 I started knitting this kind of slippers last year, it was so easy and fun, perfect to do while watching telly or shutting the brain off. Everyone in the family wanted a pair so that was the x-mas presents sorted. 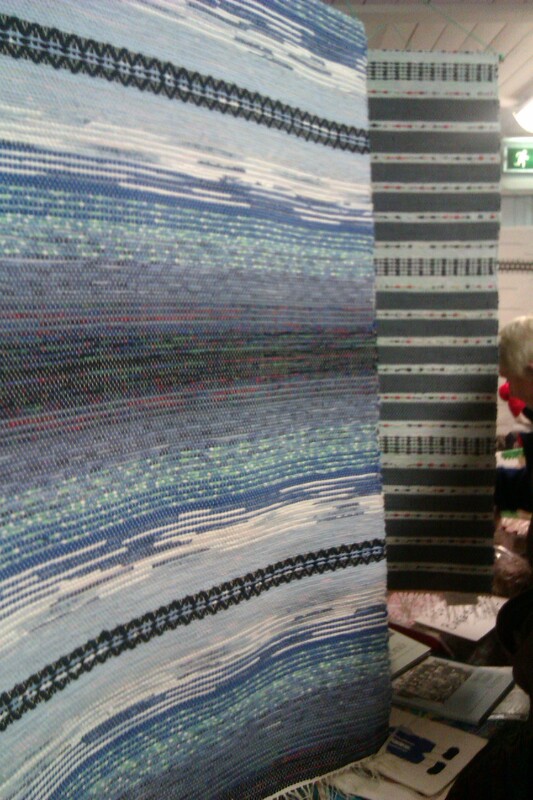 This year so far the production has been slower (lots of distraction see Phah! How long did that last? )but now it’s picking up again. 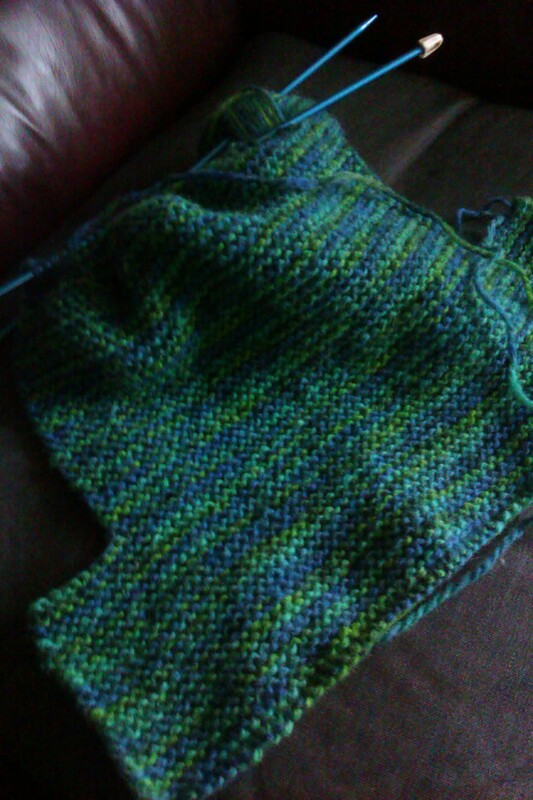 You knit one piece, sow it together and put in the washing machine, since it’s 100% wool it shrinks and goes fuzzy, thick and very cosy. 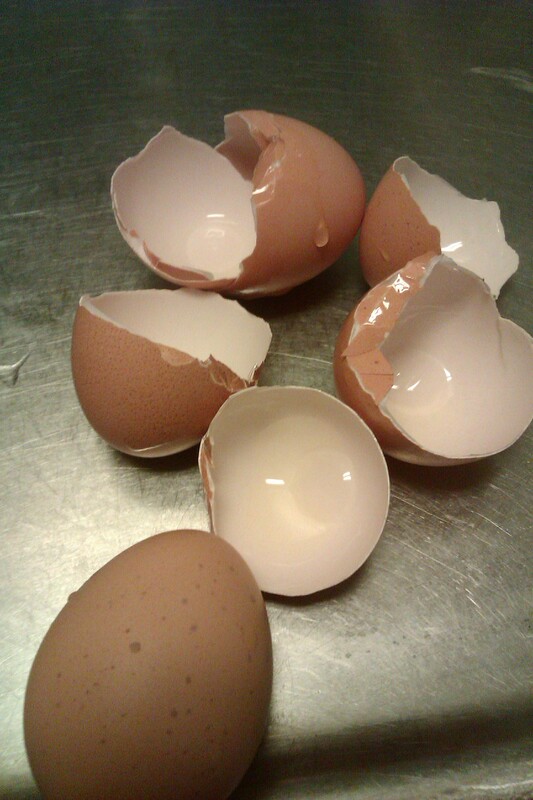 Five eggs in six days! Bugget is an egg-machine. 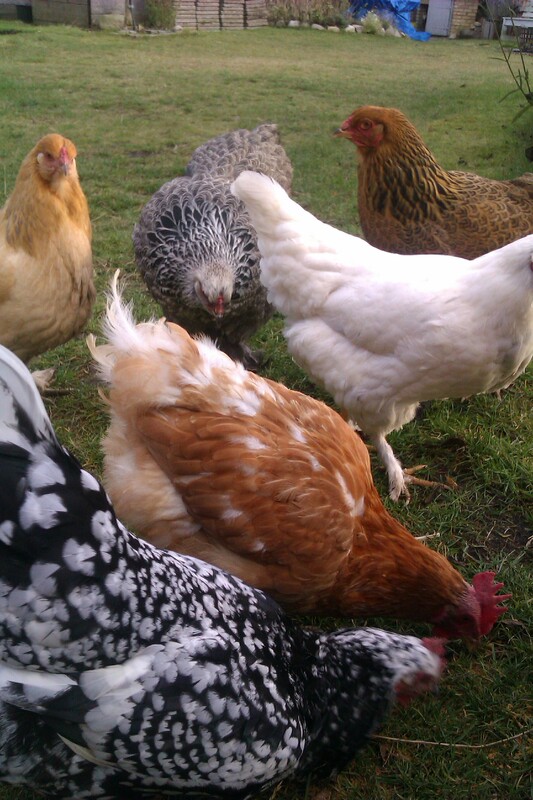 Last time I met my relative, who is by the way the reason to why we got hens, she mentioned she was worried that her hens would disturb the neighbours. 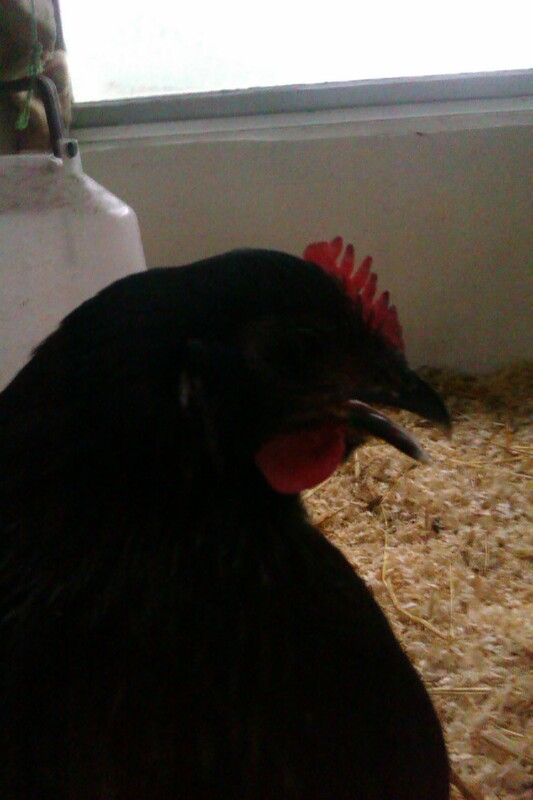 I found it strange, since she doesn’t have a cockerel, the hens surely can’t make that much noise? I happened to be in the garden yesterday when Bugget was in action and it was crazy-loud! She cackled and all the others joined in, almost suspected they’d smuggled a rooster in there. We used 4 eggs and baked a cake. It said 2 eggs in the recipe but they are so small. The very first one I made a small hole in each end and blew out the egg-white and yolk so we can save it and compare it to when they get older. 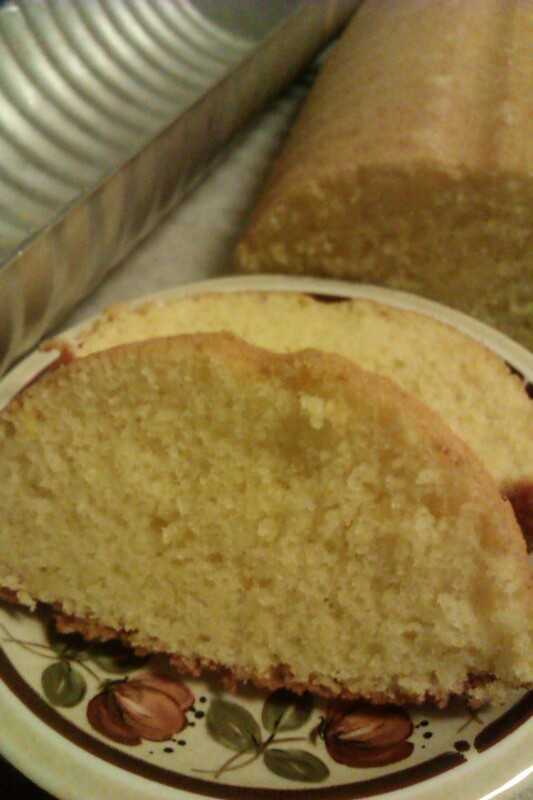 The cake was a lot more yellow than if it had been made with store bought eggs and of course the best tasting cake ever! Yeay!! I’ve wanted to make this post for so long. Seeing other bloggers happiness when their chicks have turned hens and started laying. As I wrote yesterday I hoped Bugget would lay an egg but didn’t really believe it, still I’ve kept checking a few times a day and Voila! 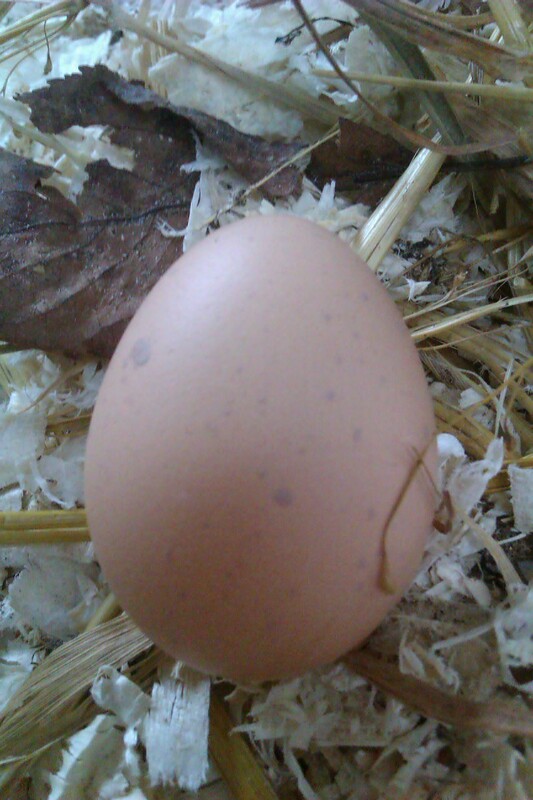 This afternoon there was one small light brown egg in a corner of the henhouse. I ran in and made the whole family cheer and then ran out to the barn and hammered together a nest for them. Not fantastic quality but it will do for now. Hmmm what am I going to cook? Boiled egg, fried, omelette, pancake…. Today even the chicks gave up on going out in the end. I only went to the shop on my new moped and decided I wasn’t going outdoors again. I haven’t mentioned the new addition to the family have I? It’s pretty rare on the island, we don’t actually own a car, most families have at least one. It’s worked very well so far but I started to feel like I wanted to have the possibility to give the kids a ride to school if the weather was too bad or for example when my husband hurt his foot the other week, to be able to give him a ride to the ferry. So I bought a moped and I love it!! I tried to tell myself that I would only use it when I had to but naaah, I’ve used my bike twice since I got it a couple of weeks ago. Anywho, I decided to spoil the chickens so they had pancake for lunch and rice with lots of butter for dinner. 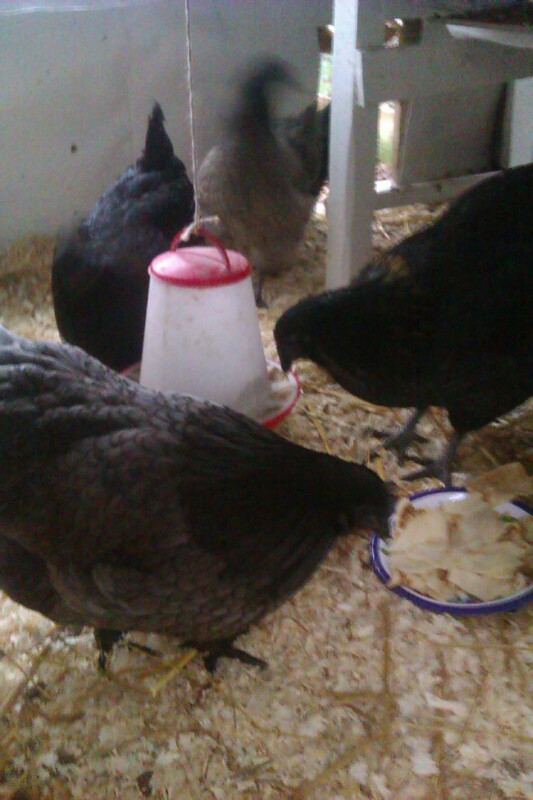 At dinnertime they were soaked and huddling in the hen-house. Bugget is talking constantly. Her comb is getting bigger and very red and I suspect it’s her who have made a little nest of the hay in one corner. Maybe the first egg will come before spring anyways?